Dozens of people from across the Maritimes who are interested in pursuing a career as an organic farmer met in Charlottetown Thursday to learn how to get started in the industry. Dozens of people from across the Maritimes interested in pursuing careers as organic farmers met in Charlottetown Thursday to learn how to get started in the industry. 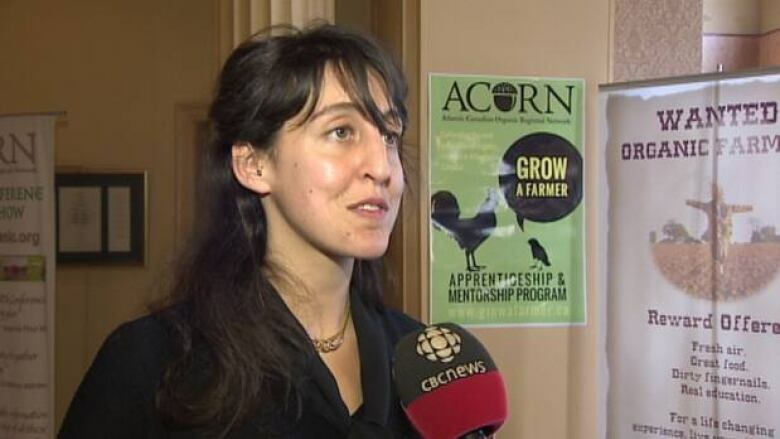 The Atlantic Canadian Organic Regional Network – also known as ACORN – launched its new Grow-a-Farmer program. It lines up apprenticeship opportunities for participants. "We will have the apprenticeship for people who want more formal training," said Lucia Stephen, the Grow-a-Farmer coordinator. "We will have monthly activities, webinars, and gatherings for apprentices in different regions throughout the Maritimes." Stephen said the program is needed because the average age of farmers in the Maritimes is over 55. The program is being set up to inspire young people in particular. "Well, interestingly enough – raising farmers is becoming another crop that we can add to the diversity of the farm – and it's basically one of the most important things our farm can do is to grow another generation of farmers in the Maritimes.," said John Quimby, who has agreed to take on an apprentice on his organic farm. Participants will have to pay more than $1,500 to do the apprenticeship for seven months. Stephen said interest in food – and where it comes from – is growing. "It's just seemingly a sea change right now, with more and more people that want to know more about food production and to do it themselves," said Stephen. "It's a great tool to teach young people that organic farming is a viable career opportunity," said Sarah Smith, who apprenticed on a farm in New Brunswick. She helped shape the new ACORN internship program. "It can be profitable and you can support yourself doing it." At the end of the apprenticeship, participants will receive a certificate. ACORN is hoping to get post-secondary accreditation for the program in future years.